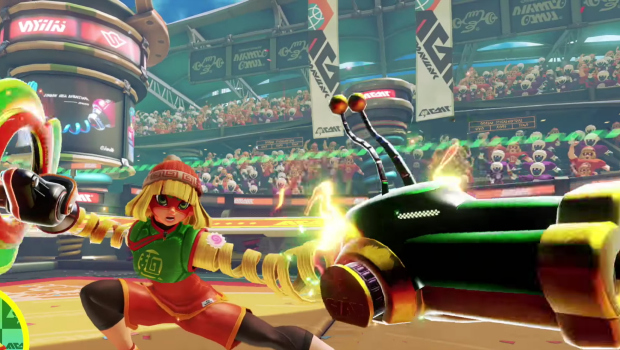 Today’s Nintendo Direct yielded a ton of new details concerning the Switch’s upcoming fighting game, ARMS, including a release date: June 16, 2017. Fighters can have two different types of arms equipped at once (right and left) at a time, allowing plenty of room for experimenting with different combinations of arms and character classes. Characters also appear to have some outrageous abilities, like transfiguring their arms into a dragon. There’s a whole lot of other wacky looking details in the video above. ARMS is set to be a Nintendo Switch exclusive and will be playable using both standard controls and motion controls. Nintendo made a bunch of other announcements during today’s Nintendo Direct, including a new game mode coming in the Splatoon sequel.